I’ve long admired the work of James Hance. He has a knack for taking classic fictional characters like Kermit the Frog, Darth Vader and He-Man and either crossing them with other fictional characters/situations or just displaying them differently. (You can order prints of all of those images from James’ website.) 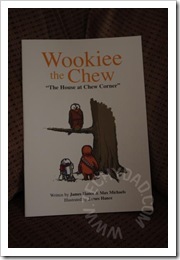 Wookie the Chew – The House at Chew Corner is no exception. The story is a mash-up of two of my personal favorites: Star Wars and Winnie the Pooh. Winnie the Pooh combines with Chewbacca to become Wookie the Chew. Christopher Robin and Han Solo become Chrisolo Robin. Piglet merges with R2D2 to become Droidlet. 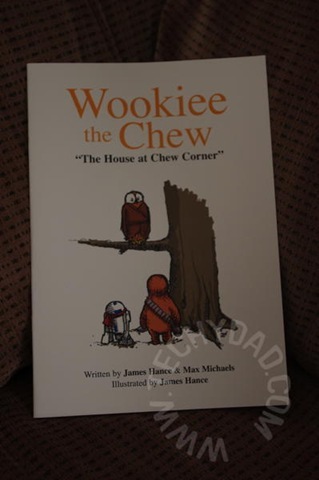 The story unfolds as Wookie the Chew, having obviously inherited his appetite from Pooh, embarks on a mission to get something to eat. Except, instead of honey, he’s looking for bobaberries. (Tip: Don’t eat the cloneberries. They all taste the same.) Along the way there’s a hive of bees-crossed-with-tie-fighters, a balloon-crossed-with-the-Millennium-Falcon and a giant-tree-combined-with-the-Death-Star. 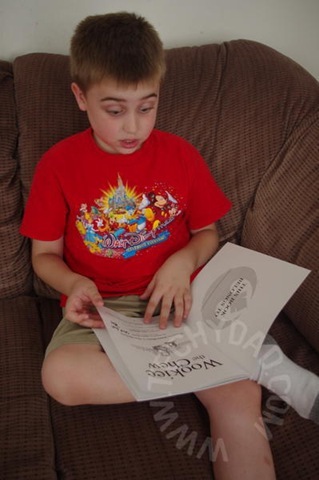 I’ll admit that the book wasn’t quite what I was expecting. 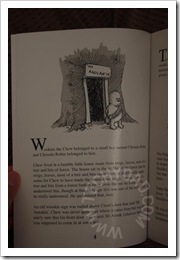 Having seen James Hance’s fabulous art, I thought it would be a picture book with few words. 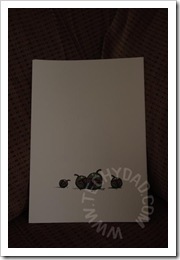 Instead, it is mostly words with enough sketched artwork to see the story through. While I was initially disappointed, that feeling changed upon reading the story to NHL. At every turn there’s a saying or setting or character that calls back to both Star Wars and Winnie the Pooh. The story was great and left us wanting more. Indeed, Hance is working on a follow-up book titled “When We Were Very Jedi.” Once the book is ready for ordering, you can bet I’ll be ordering a bunch. 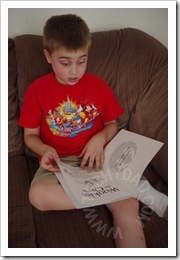 I’ll close with a few photos of the book and of NHL reading it. Disclaimer: I didn’t receive anything in compensation to review Wookie the Chew. 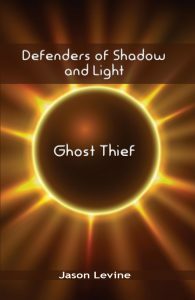 I purchased the book with my own money and liked it so much that I thought I’d share my thoughts on it.